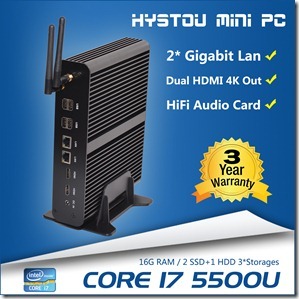 Hytou new mini pcs with Intel Broadwell core i3, i5 and i7 cpus are very hot now, here we collect some information to let you know more about the Broadwell graphics enhancements, information collected from cpu-word. Intel Broadwell architecture boasts large number of architectural improvements, aimed at boosting CPU and GPU performance, and at the same time reducing power consumption. In the past we reported on new graphics features, such as increased number of execution units and support for VP8 codec. In fact, there will be many more GPU enhancements, pertaining to 3D graphics, display controller, APIs and control user interface. 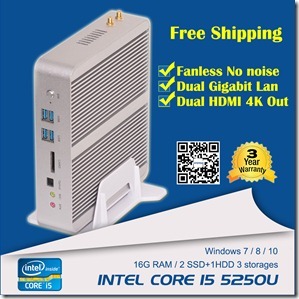 Broadwell graphics is based on 8th generation architecture. One of the most important improvements in Broadwell GPUs is 20% larger number of execution units, that is 24 EUs for GT2 chips, and 48 EUs in chips with GT3 graphics. On top of that, the architecture was optimized for greater performance. The list of improvements includes increased size of various GPU caches, better Hi-Z and tessellation performance, and increased Pixel clock fill rate. The GPU natively supports 2x MultiSample Anti-Aliasing in hardware. 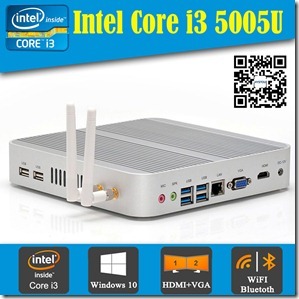 Media features of Broadwell GPU were improved as well. The GPU now uses VP8 open source codec to perform full hardware acceleration of VP8 streams. The Scalable Video Codec (SVC), that was present on Haswell microprocessors, now conforms to High Profile specification. The SVC High Profile removes some SVC baseline restrictions, and implements support for arbitrary video resolution and cropping. Additionally, Broadwell processors with GT3 graphics incorporate extra circuitry to speed-up the Intel Quick Sync feature. There are no changes to video pre- and post-processing technologies. The Broadwell display controller utilizes higher display clocks for some interfaces, which allows it to support higher display resolutions. For instance, the maximum resolution for eDP 1.3 and DisplayPort 1.2 interfaces on “H” processors was increased to 4096×2304 at 60Hz. Higher display resolution, up to 3840×2160, is also supported by “U” series chips. Likewise, the maximum resolution for “Y” processors is 3840×2160 at @60Hz, however it is limited to 1 display, and using it results in increased power consumption. Besides performance improvements, Intel also made some tweaks to reduce power consumption. To accomplish it they added new features to two display low power technologies, Panel Self Refresh and Low Power Single Pipe. LVDS and VGA interfaces were eliminated from the on-chip GPU. Like Haswell processors, Broadwell parts support DirectX 11.1 and OpenCL 1.2 APIs. Intel is also going to add support for OpenCL 2.0 on some SKUs, and for OpenGL 4.2.